It’s not always easy to prove what actually caused someone’s personal injury or wrongful death. And sometimes an accident seems straightforward, but then it turns out that the real story is much more complicated. For example, a 4-year-old girl was killed in April 2014, and two 3-year-olds were severely injured, when a car crashed into a KinderCare facility in Orlando. The car barreled through the wall of the day care facility while the kids were waiting for their afternoon snack. Initially this horrible accident seems like the driver’s fault. But the driver who crashed into the building isn’t the only person at fault. The man targeted in this case did not drive into the KinderCare himself, but he did rear-end another vehicle and caused it to crash into the building. He is now serving 40 years in prison. The families whose children were killed and injured are suing him for negligence. But he isn’t the only focus of their lawsuit. They also claim that KinderCare could have prevented the accident from happening. 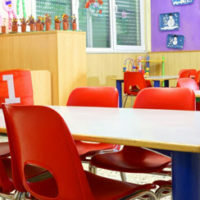 “Defendant KinderCare Learning Centers, Inc. owed a duty to children at the school to take reasonable steps to protect them from the danger of a vehicle crashing into the building,” one of the lawsuits states. For example, they say that the daycare didn’t have proper barriers to prevent vehicles from reaching the building and that the parking lot angle allowed the crash to happen. They also say that similar incidents have happened at two other KinderCare facilities in different states. That could demonstrate that KinderCare should have known of the risks and taken reasonable steps to prevent the Orlando accident. Whoever a jury determines is legally at fault for this tragedy, the families of these children deserve compensation. There is a strict time frame for filing a personal injury or wrongful death claim in Florida. The deadline for filing a personal injury lawsuit is four years from the date of the accident, and the deadline for filing a wrongful death lawsuit is two years from the date of the death. Contact an experienced attorney as soon as possible to get the ball rolling. If you don’t meet these deadlines then you will be legally barred from seeking compensation. Also remember that Florida is a comparative fault state and damages are apportioned among wrongdoers according to their percentage of fault. For example, if a jury determined that KinderCare was 25 percent at fault and the driver was 75 percent at fault, then the damages would be split between them accordingly. Contact an Orlando personal injury attorney at The Pendas Law Firm today for a free consultation if you were injured or a loved one was wrongfully killed by someone’s negligent actions. We will examine the facts of your case and explain your best legal options. You deserve to be compensated for your personal injuries or tragic loss. The Pendas Law Firm also represents clients in the Fort Lauderdale, Jacksonville, Fort Myers, West Palm Beach, Tampa, Miami, Daytona Beach and Bradenton areas.